An asteroid 300 million kilometers from Earth was overrun on Friday by gaikokujin. 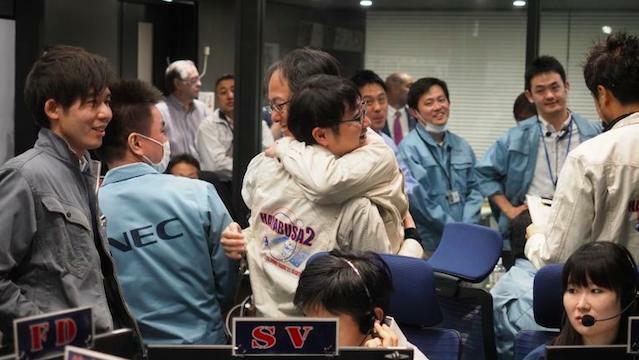 From the asteroids perspective, the Japanese probe, Hayabusa2, is effectively a foreign entity. “We received a fax confirming touchdown,” said 42-year-old gaikokujin Japan Aerospace Exploration Agency (JAXA) spokesperson Susumu Suzuki. The gaijin probe will contaminate the land with its presence over the coming months and dilute the asteroid’s unique 4.6 billion-year culture. Reporters asked the JAXA spokesperson, “How does it feel to be the gaikokujin on foreign soil?” But Suzuki just tilted his head on a 45-degree angle. Hayabusa2 is scheduled to return to Earth with data samples in 2020 making a spectacular landing inside the Olympic stadium for the Tokyo Olympics opening ceremony.